deepen their experience and build on their interest. as well as many titles that are added into FreeTime by parents. titles, with more cards being added every day. daily education goals within the FreeTime child profile. do not have access to social media and can’t make in-app purchases. 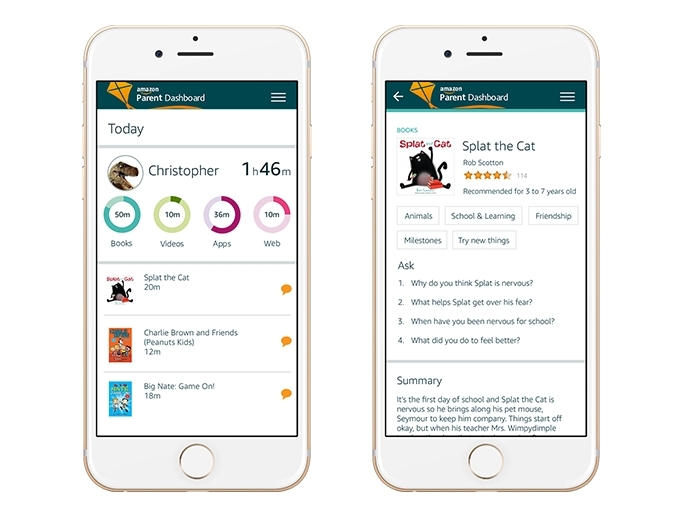 Parents can learn more about Discussion Cards and Parent Dashboard at http://parents.amazon.com. Fire Kids Edition, as well as on Kindle E-readers and Amazon Fire TV at www.amazon.com/freetime.